We have been having as many as 25 refugee children coming to our English Tutoring & Homework Support sessions. 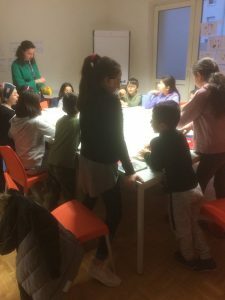 Classes are offered twice a week by All4Aid volunteers in the community room inside the refugee camp in Hanau, Germany. 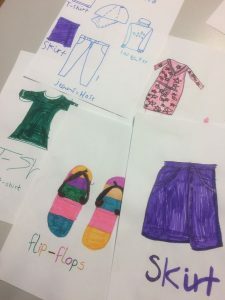 In the past weeks the younger kids have been learning/reviewing topics such as colours and items of clothing. The older kids normally bring their class books and receive one-to-one support. Besides teaching, we have been able to build good relationships with the children and even with some of the parents, which has been really great!